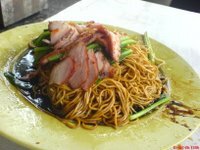 wah..this wan tan mee very cheap ler..
where to find RM2.50 wan tan mee in KL??? The wan tan mee + vege is cheap yet nice! but..if you are the type of ppl who particular on good eating environment, then i bet you wont be going there. 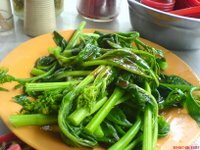 As for me, if Jade not recommended me to this stall, i wont go too :P. But since the mee and vege is nice, who cares about the environment and surrounding, rite? pablopabla: I won't tell the stall owner...hehe...:) Anyhow, i think not everyone can stand the environment there.